As a Holistic Nutritionist, I’m an avid label reader! Always opting for low sugar, high fiber whole foods. Ingredients found in nature help nourish and cleanse the body! 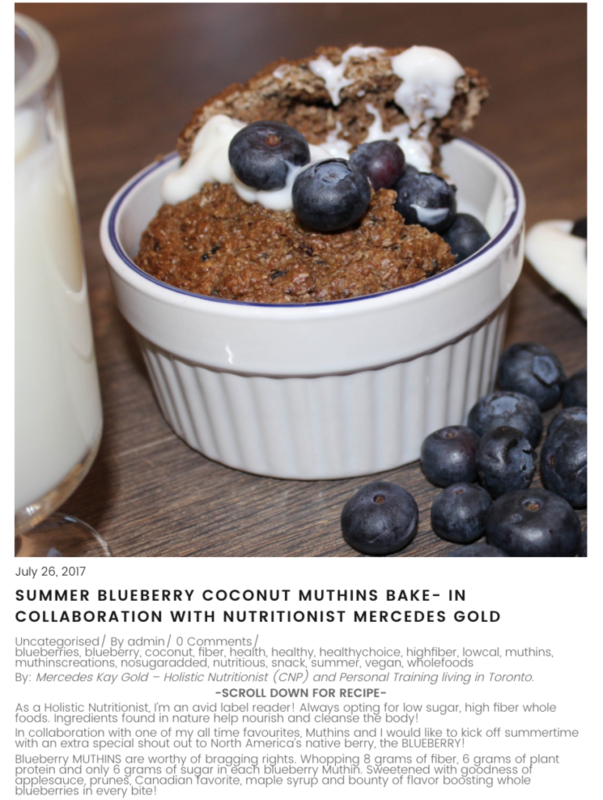 In a collaboration, with one of my all time favorites, Muthins and I would like to kick off summertime with an extra special shout out to North America’s native berry, the BLUEBERRY! Blueberry MUTHINS are worthy of bragging rights. Whopping 8 grams of fiber, 6 grams of plant protein and only 6 grams of sugar in each blueberry MUTHIN. Sweetened with goodness of applesauce, prunes, Canadian favorite, maple syrup and bounty of flavor boosting whole blueberries in every bite! With a mere 150 calories in each muffin, go ahead and enjoy guilt free!! Blueberries are one of nature’s super foods. Vitamin C is immune boosting. Flavonoids help decrease inflammation in the body while reducing DNA damage. Vitamin C is necessary for the formation of collagen, helping maintain younger skin. Vitamin C also helps fight free radicals caused by environmental toxins. Manganese activates many enzyme systems. This important mineral also plays an essential role in the growth and development of normal bone structure, as well as maintaining healthy joints. High fiber found in blueberries helps improve blood sugar, lipid and insulin levels. Fiber promotes feeling of fullness, important factor in weight loss and management. High fiber diet helps ensure healthy digestion and regular elimination of toxins. Natural polyphenol in blueberries referred to as resveratol provides anti-aging protection as well as supporting cardiovascular health. Gailic acid provides anti-fungal and anti-viral protection. 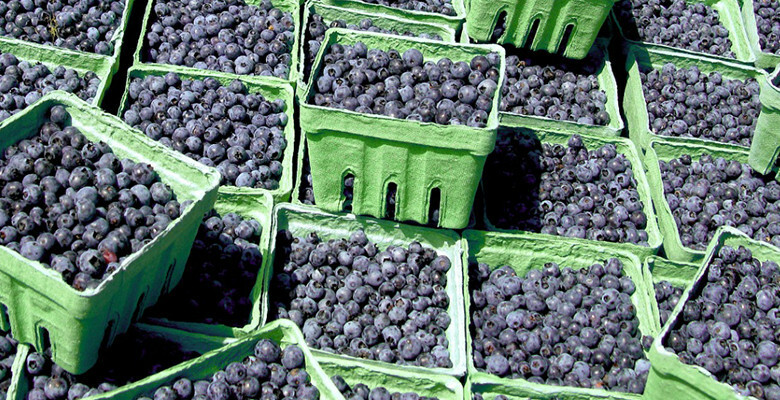 Potassium packed blueberries help lower blood pressure naturally. Few Tbsps of coconut oil for drizzle, shredded coconut and 1/2 cup washed blueberries. Break apart muffins and toast in 350 degree Fahrenheit oven for 10 minutes. Whisk coconut milk, coconut sugar, cinnamon and flax. Fold muffins into wet mixture. Spread mixture evenly across small baking pan and cover pan tightly with tinfoil. Bake for 30 minutes. SERVE warm and top with drizzle of coconut oil, berries and shredded coconut. For an easy dessert add ice-cream or alternative such as “Coconut Bliss”.